Here we go again! The 9th annual Port Townsend Cruise kicks off this Saturday, this time benefiting a new cause – Seattle Cancer Care Alliance. 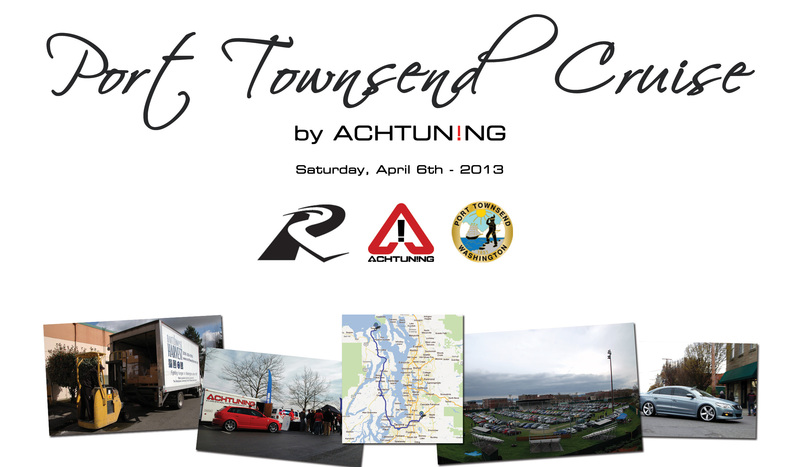 And once again European car tuner Achtuning steps up to host and cover costs to rent space at Pacific Raceways for the start of the cruise as well as reserve parking spaces in the City of Port Townsend for the 500+ expected participants. Despite forecasts of rain (again) we look forward to a successful event and hope to get an event “wrap-up” of sorts done similar to last year. Stay tuned!